Actor Kristoff St. John has died, his attorney confirmed to CBS News Monday morning. 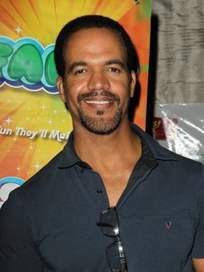 St. John played Neil Winters on CBS’ “The Young and the Restless.” He was 52. St. John was found dead at a home in Los Angeles Sunday, the county medical examiner’s office said. The home was St. John’s residence, CBS Los Angeles reports. No cause of death was listed for St. John. An autopsy was scheduled for Monday, the medical examiner’s office said. St. John joined the cast of “The Young and the Restless” in 1991. He won Daytime Emmy Awards in 1992 and 2008 for his work on the show, and he was nominated seven other times for playing Winters. In 2015, St. John spoke with “Entertainment Tonight” about the death of his 24-year-old son Julian St. John. The younger St. John died by suicide in his room at a mental health facility. “That call was the worst call I’ve ever had in my life,” Kristoff St. John told ET. He and his ex-wife settled a wrongful death lawsuit against the facility out of court. St. John’s fiancee, model Kseniya Mikhaleva, reacted to his death on Instagram. “You were everything to me …. you were a loving father, a loving man,” she said in a post that was later removed from her account. St. John is survived by his two daughters Paris and Lola.